You don't need to know how to blog to start a blog. If you don't think you're a blogger, or fear you don't know how to write a blog, or you just don't have the time to write a blog, that's OK—we can transform your business knowledge into the high-value information your market seeks and deliver it in a quality business blog. Given the dramatic trend in recent years embracing content marketing (and search engines' hungering focus on original content), the time to start a blog is now—and with our blog writing services and expertise you can start today. for as little as $700 per month. Business blogs and corporate blogs (a contraction of the words web log) are a great way to engage prospects interested in your business. These discussion / informational sites consist of discrete entries posted in reverse chronological order; a majority are interactive, allowing visitors to leave comments. They build audiences and your business' identity simultaneously, and are a very important communication channel for businesses of all types. If you want your business to be found online, a business blog permits you to produce ongoing, current and remarkable content. This not only engages readers, it improves your company's SEO rankings, develops a reputation for thought leadership, and generates valuable leads for your sales team. Through company blogs businesses deliver value by sharing knowledge. The benefits of writing a business blog can be very significant, dramatically affecting business/career outcomes. Effective blogs generate search traffic, build your authority, and improve your positioning. Today, a regular business blog forms the central core of a business' social media activities. Plenty of resources are available to guide you through the blogging process and recommended best practices. Today, blogging is something to embrace, not avoid. Yes, its true that most busy business owners and executives lack the time to write and manage regular blog posts — but with the assistance of skilled business blog writers, any business can implement an impactful blog. What are Business Blogs Used For? Creating attractive, content-rich blogs can increase your impact, reach, and influence, which is why so many business owners and executives are increasingly using them. Through good business blogs you can share a wealth of ideas and information with a variety of interested audiences, and quickly respond to emerging events. With the right blogging tools an enterprise can accommodate multiple authors while synthesizing and organizing their posts, manage and pre-configure social media interaction, pre-schedule posts, categorize posts, efficiently link to related posts, and automatically moderate blog responses. Because content is king, what you say and how you say it have everything to do with whether your blog accomplishes its mission. Great content merged with the right blogging tools can take your business to another level of visibility and interactivity. Whether blogging internally to foster idea exchange, knowledge development, and information tracking, or externally to provide readers with relevant current information, blogging form and substance are important to whether your blog is noticed and whether it’s trusted (credible). After all, if your enterprise’s blog isn’t establishing trust and credibility as it disseminates information, you're probably wasting your time. Business Blogs Have a History of Bailing Out Businesses! When the economy slows (or melts down), businesses suffer and the pressure is on to market effectively, smartly. Business blogs have become exceptionally powerful marketing tools—helping businesses sell "under the radar" to connect with information-hungry customers. Writing a blog is a tool that delivers educational resources, candid experience, and information to customers, allowing you to avoid overt sales tactics. Because "tuned in" businesses secure great results through business blogging, business blogs have dramatically increased, and today thousands are written as effective communication and marketing mechanisms—helping businesses stand out while delivering value in the form of information. 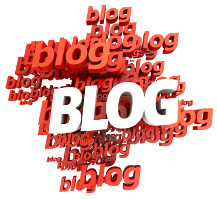 Blog writing presents an enormous opportunity for any business that sells to other businesses. Writing a blog, a good business blog, helps businesses reach out to customers, suppliers, employees, and other audiences on a regular basis. This distinguishes the blogger and enhances the enterprise's identity. to those who need it, please contact us. People who read business blogs are usually looking for information, insight, experience, and solutions to problems. Business blogging is an effective, rewarding practice. If your company could benefit from developing quality business blogs, or you need an expert business blog writer to refine and improve your blog entries, Probizwriters welcomes your inquiry. "Why Case Studies Accelerate Business Marketing"